Pizza** Bounce House** Games** Crafts** and of course cookies! Holiday extravaganza performance by our Interia Dance Troupe! Sign up on-line or at the gym. November 17th from 9:00am to 4:00pm. Great gymnast and dance accessories at the Middletown HOH Parents Association at Granny's Attic in the Thompson Middle School in Middletown. Get a jump on stocking stuffers and gifts for your favorite gymnasts and dancers! Middletown USAG Parents Association will also be selling the amazing Mrs. Fields goodies in time for the holidays. Gifts everyone will enjoy! The Parlin USAG Parents Association is currently taking orders for Gertrude Hawk Chocolates from October 4th through November 4th. Amazing fine chocolates that are always appreciated. Continuous Monthly Enrollments from September to June! Your day and time is yours for the school year. Check our website for details. Making life simple at this busy time of year! Our Pro-Shop 50% sale rack still has some awesome leotards, boys compression shirts and shorts available. These are priced so you can stock up! Refer a friend and you both receive a $20.00 account credit! Pre-Schoolersin the morning and early afternoon classes may wear their costumes to class and participate in a parade for their parents. The parades will be held Thursday October 25th to Halloween, October 31st. Please make sure to bring their gym clothes to change into after the parade! check with your child's coach for details. The gym will close ar 3:00 pm on Wednesday, October 31st so everyone can safely enjoy the holiday. Saturday Coffee Cafes are Back! The USAG Girls Team is fundraising for Unite for Her and amazing organization for breast cancer patients. Skip the drive- thru and support the girls as they support others! Gymnastics, Dance, Ninja Zone, Kicknastics, Cheer! Plus we have expanded our Leaping Learners Program! Leaping Learners is an 1 1/2 hour enrichment program is the perfect transition for Pre-Schoolers! A combination of gymnastics and age appropriate educational activities...this class offers it all!! Our instructors will give your child 45- minutes of high quality gymnastics instruction in our gym then your child will receive 45 minutes of educational enrichment activities including, but not limited to, fun science activities, educational craft projects and sequencing, patterns, colors, and numbers. Ninja Zone Missions: New Missions! New Challenges! New Skills! Octoberfest- Learn new skills in order to find the scrolls at the Pumpkin Festival. $10.00 for members ages 6-17 yrs old & $14.00 for Limited Members ages 6 to 14 years old. Pizza, bounce house, crafts, games, and more! They come home tired and happy and you get a chance to relax! Gymnasts develope coordination, agility, balance, flexibility and strength. Skills that provide a great foundation for all sports! At Head Over Heels we offer boys and girls classes for all ages from 18 months to 18 years. Give your budding athlete the best foundation possible for his or her success in the sport of their choice. If you have not signed up for a Gymnastics, Ninja Zone, Preschool, Dance or Karate Class there is still time! Your tuition will be prorated for the balance of the term. If the desired date and time is full GO ON THE WAIT-LIST! Our wait-list is reviewed daily and we will open classes for the additional enrollments, whenever possible! Boys & Girls Gymnastics, Dance, Ninja Zone, Cheer, Tumbling, Parent-Tot, Pre-School, Kicknastics, Trampoline! FUN & FITNESS at our two locations in NJ. Middletown and Parlin (Sayreville/Old Bridge area) Head Over Heels...from 18 months to 18 Years come see what we are all about! On September 15th, 2018 Celebrate National Gymnastics Day and tell us "why you love gymnastics" using the hashtag #NGD2018 when sharing videos and photos on social media. CLASSES BEGIN ON WEDNESDAY SEPTEMBER 5th! Head Over Heels offers gym time to local preschool and Day Care facilities! Flexible schedules, low cost and a great time! Interested in Gymnastics, Ninja, Dance or Karate as an option for your Physical Education requirement? Call or email us for flexible options! Sunday April 15th- Fan Tee Shirt orders are due! Sunday April 15th- Program ad orders are due! Picture weekend April 28th & 29th! Please check your paperwork and follow the schedule for your day and time. All Sport Stars! This program is designed for any althlete who wishes to improve or maintain their performance in their sport of choice (such as football, basketball, soccer, swimming, etc) during their off- season. Circuit training workouts to develope strength and stamina, improve agility, flexibility, reflexes and speed! Give your athlete the best possible foundation for any sport here at Head Over Heels! Gym Fusion! Fast paced high energy mix of all programs in one FUN hour! Use the trampolines, rock-wall, tumble-trak, bars, beam and floor like you have never used them before! Obstacle courses, challenges, races, contests and more! This is a one of a kind expereince offered only at Head Over Heels! Both Gyms will be having a delayed opening tomorrow Thursday, March 22nd. Gyms will open at 12:00 noon. The gym will be closed for the remainder of the day today Wednesday March 21st due to the weather. Games- Contests- Open Gym- Inflatable - Ninja Course- Pizza- Crafts! School Closed (to honor Martin Luther King) Come to a Clinic! Come perfect your cartwheel... don't be like Rex!! GYMS WILL OPEN AT NOON ON FRIDAY, JANUARY 5th! Middletown and Parlin Gyms are closed today due to the weather! Student Evaluations for Recreational & Ninja Classes! Open Gyms Tumble on in! Flip into Spring- Open Gym! 4:45 to 6:45 pm Saturday, April 21st! $10.00 for members ages 6-17 yrs old & $14.00 for Limited Members ages 6 to 14 yrs old. $5.00 pay as you go! Every Monday 7:00-8:30pm in Middletown with our incredible Cheer Coach Adriana! $10.00 for memebrs ages 5 to 17 yrs old and $14.00 for Limited members ages 5 to 14 years old. Mini Cheer for the Pre-Schoolers and Cheer Classes for 5-8 year olds. Come be part of our new Cheer Squads! Parent Tot Classes with a Ninja Zone Swing! Sign up before thier availabilty disappears! Term 3 Starts January 2nd! We now have open enrollment for new students. You can enroll anytime and are prorated for the number of classes left in this current term. Your preferred day/time is full? Go on our waitlist! We review daily and will accomodate whenever possible! Sign up on-line or in the gym...these fill up fast! Black Friday Drop and Shop! Games, Contests, Open Gym, Ninja Obstacles, Crafts, Gymnastics and Pizza!!! Register On-line or at the front desk! These spots fill up fast so sign up today!! Genevieve's Boston Coffee Cakes- orders available for Holiday Delivery- Last day to order is Saturday, November 18th. Delicious, no preservatives, peanut free. Cinnamon Walnut, April Walnut, Pecan Delight, Blue Blizzard, Marble Madness, Caramel Apple Harvest and many more! Suuport the Girl's Team with Deliciousness! She received a iTunes gift card and all 581 pieces of candy corn! Vanessa Tracy, Olivia Hertzog, Charlie Johnson and Jackson Gyuris: Ninjago Coloring Contest Winners- all received a ninja water bottle and AMC movie gift cards! We are so grateful for our USAG JO Teams! It is NCAA signing week! Wednesday our USAG Girl's Gymnastics Team will be having their 2018-2019 Full Scholarship Signing at the Parlin Facility. We are proud and excited for the Girls, their Coaches and the Teams! Pick your choice of Gymnastics, Dance, Ninja Zone, Tumbling, Karate, Trampoline and Pre-school classes. Take advantage of our class specials! If you add a second class, you get 20% off your second class. For those that sign up more than one child, enjoy our sibling discounts! Gymnastics, Ninja, Dance and Custom parties- we make it easy for you and fun for the children! Skip the drive- thru and support the Teams! Wow! We are so excited to see everyone, what a great start to the season! If you have not signed up for a Gymnastics, Ninja Zone, Preschool, Dance or Karate Class there is still time! Your tuition will be prorated for the balance of the term. If the desired date and time is full GO ON THE WAIT-LIST! Our wait-list is reviewed daily and we will open classes for additional enrollments, whenever possible! Saturday, April 7th at both Middletown and Parlin! Bounce House, Crafts, Open Gym, Games, Pizza... The kids come home happy and tired! Don't wait these fill up fast! **FREE TRIAL CLASS** For our Leaping Learners Program! This 1 1/2 hour enrichment program is the perfect transition for Pre-Schoolers! A combination of gymnastics and age appropriate educational activities...this class offers it all! Our instructor will give your child 45 minutes of high quality gymnastics instruction in our gym then your child will receive 45 minutes of educational enrichment activities including, but not limited to, fun science activities, educational craft projects, sequencing, patterns, colors and numbers. This program is offered for 2 1/2 year olds to 3 1/2 year olds and 3 1/2 year olds to 4 1/2 year olds. We make learning fun and children benefit from the MIND-BODY CONNECTION! * Please call to register for your free class! Come See what we are all about- Fitness & Fun! Best wishes to allout dancers who have worked so hard this year! Optional Gym Show attire must be ordered in advance- take a look at the beautiful ombre mystique leos with matching shorts and the boy's compression shirts with awesome artwork in the gym lobbies. Coffee Cafe in the Parlin Gym! Parlin's Boy's USAG Team is hosting the Coffee Cafe on Saturday January 13th. Support the team... Skip the drive-thru!! Summer Class Schedules are ready, and we are taking enrollments at the front desk! Current students gets priority for summer classes so you will not be able to register on-line yet, we apologize for the inconvenience but it is the only way to insure our current students get their first choice of classes! Little Chicks Are Back Again! Don't Miss Our Annual Little Chicks Party! Advanced registration is required- Members only please! Please visit www.headoverheelsgym.com to reserve your spot! Early Bird Discount ends April 15th!!!! Fun and fitness everyday! We send them home Happy & Tired... we guarantee it! Great trips! Pool days! Awesome in-house events! oh! Did we mention Air Conditioning! Come learn and play with us! It couldn't be easier! Go to the parent login (headoverheelsgym.com), pick your gym, pick your days/weeks, make your deposit of $100.00 and we do the rest! You will receive a call within 48 hours to finalize! In addition to multi-week discounts and sibling discounts, we offer another 10% discount for enrollments before April, 15th. Summer Time...Fun Time at Head Over Heels! Popular Classes and Times have been opened!! You asked- We Listened! Go on-line, call or check your gym- We now have openings in weekday and Saturday classes, ninja classes, pre-school classes, and Dance classes! Sign up today, before they fill up again! 1 hour of Ninja/military style obstacle course, gymnastics, martial arts kick combos and special ninja missions! Decorated party room in the Ninja style. Birthday child gets a Birthday Ninja Headband and the goodie bottles include ninja stickers and ninja goodies! Our regular and decorated parties remain the same exciting and fun experience for all! Here's to a great summer at Head Over Heels & Bodies In Motion! For those who sign up more than one child, enjoy our sibling discounts! Saturday, April 14th ends the priority registration for Term 5! If you are enrolled in Term 4 and wish to continue at the same day and time in Term 5 (starts 4/30) you need to have your term 5 tuition paid by the PDD. You can pay by phone, on-line ( the tuition is already in your account!) or at the counter. This does not affect Term 4 enrollments. You need to be enrolled in Terms 4&5 to participate in our Annual Gym Show Extravaganza! This year the theme is...Wild, Wild, West! Pizza** Bounce House** Games** Crafts** and more!! Inertia Dance Troupe & Free Motion Crew will be dancing at the Brunswick Square Mall on Sunday March 25th at 1:00 to welcome the Easter Bunny! Term 2 Classes are available online! At Gym registrations are always available! Is the class you are trying to enroll in full? Please put your child(ren) on the waitlist. We open and expand classes weekly and wait lists are reviewed daily. We will be collecting donations for the wonderful organization Misfit Angel's Network. This organization helps many of our friends without a roof over their heads. We will be collecting basic toiletries, food, clothing, toys and $5 Dunkin Donut gift cards. We will be closed on Thanksgiving Day! 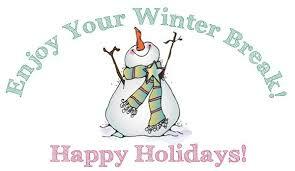 Have a wonderful Holiday! Black Friday- Check back for Special Events! Classes will be held Friday and Saturday as Scheduled! Open to boys and girls ages 3 & up. Skip thr drive thru and support the girls! Pre- School Classes Special Offer! Includes: Parent and Tot Classes, Dance Classes, Ninja, Kicknastics and Gymnastics!! Limited Time Offer- expired 10/30/16!! Our Pre-School programs encourage cooperative learning in a group setting and allows each child to learn at his/her own rate while having fun!! We LOVE Gymnastics and we know you do too! Join the celebration of our sport on National Gymnastics Day, Spetember 17 from 1:00-2:30pm at our Parlin Facility!! Come join us to celebrate and give back! You don't need to be a member, this is for everyone! We are going to try to make the record books for the most people performing a cartwheel at once! We are going to do a group photo to enter into "The most creative picture contest" to win 4 tickets to the Kellogg's Tour of Gymnastics Champions stop closest to us! We are also sponsoring our owner Gail Boyce in the Cartwheels for Kids Event in Norwell, MA...Don't Miss this day!! Let's bring awareness to a good cause and awareness to the wonderful world of gymnastics! Bring a friend or two!! AT HEAD OVER HEELS WE EXPERIENCE IT EVERY DAY! Middletown 2016/2017 Fall Schedule is Ready! Term 1 start date September 7th! Everyone is encouraged to register online to secure their preferred class and time for year!! Parlin 2016/2017 Fall Schedule is Ready!! Term 1 Start date is September 7th! Everyone is encouraged to register online to secure their preferred class and time for the year!! No School! Come to a CLINIC! Register on-line or at your gym! Still Time to order our custom designed Head Over Heels Gym Show Leotard and matching shorts! Orders must be in by MONDAY, MAY 16th. Compression shirts and matching shorts available for the boys. All are on display at the gyms! Gymnastics Spirit Wear- Presented by MHOHPA. Support the USAG Girls Team at the Middletown Gym. Two great shirts for one great cause! Shirts are on view at the Middletown Gym, orders need to be in by Wednesday May 18th and will be delivered the first week of June. Check Out Our Summer Camp Open House! Save the Date- Gym Show 2018!! Gym show Routines are being introduced...Welcome to the Wild, Wild, West! Our year end talent showcase! Children perform routines that highlight their skills and advancements. The Pre-School dance is amazing! Custom leotard and compression shirts are on the way and will be on display by the end of the week! How do parents feel about Head Over Heels Camp...Read Below!" "How do parents feel about Head Over Heels Camp...Read Below!" I have wanted to send this email for quite some time and just never got around to it. Today, L's last day of camp seemed like the perfect time to share my thoughts. First, I must say that "L" has had "the best summer ever". As a parent, It's exactly what I want to hear- She's made the friends and memories that we all hope for our children to have when they recall their childhood summers one day. I've watched her grow this summer not just physically but emotionally, trying new things, becoming a little braver than when she started. When we were looking at summer camp options she told us she wanted to spend the whole summer at HOH, as opposed to just the 1 week she did last summer. We really had to weigh our options, there were more cost effective choices; there were camps that were more expensive and offered a plethora of different activities, curricula, etc. What it came down to at the end of the day was this- who did I trust to care for "L". The answer was clear. Everyone, and I do mean everyone at HOH is so committed to what they do everyday and I know that what you do is not easy. Olga and Cassie answered my hundreds of questions with patience, enduring my regular "How's she doing?" calls with humor and reassurance a Mom needs. Dawn has been a great addition to the team and I enjoy sharing our Mom-to-Mom stories. Ashley did a fantastic job creating a fun and interesting summer experience, just managing the wrist bands alone deserves a medal! And all of your coaches Amy, Vlad, Jim, Ashley, Tina, Christina, Nicole and Matt were so thoughtful, caring and diligent in the way they worked with "L". I was at ease, I was not my usual, over-worried self and because of that I was able to just sit back with joy seeing how much fun she was having. In those first few weeks, She'd come home and by 7:30 she would say I need a shower, and I need to go to bed. The best kind of exhaustion. When I pick her up she is talking a mile a minute about all the things she did and saw and who she played with and that "everyone is super nice" What more can I ask for? I currently work and spent my entire career in HR so I fully appreciate the importance of good employees and the difference that can make in a business' success or failure. Our CEO says that " We are only as good as our talent [employees] and it's our talent that defines us". This is apparent at Head Over Heels- your talent defines you and by far is the greatest asset. Register online at www.headoverheelsgym.com or at your gym. 4/8/17 Priority Due Date for Term 5! Guarantee your child's spot in their current class for Term 5! This is our last session of the school year! Reminder- You must be enrolled in Term 5 to participate in our annual Gym Show Extravaganza! Payments can be made at the counter or online! No need to re-enroll just submit your payment and your done! 4. Choose your payment method and click submit payment- DONE! What if payment isn't received by the PDD? If Payment isn't received by 4/8/17, you run the possiblity of losing your spot in the current class, as open registration for term 5 will become available after Saturday and will be filled on a first-come basis. Are you on a waitlist for Term 5? Please be on the lookout for emails and /or phone calls from our office as we notify you of any openings that become available. Enjoy our Little Chicks Party with your little one Wednesday, March 23rd from 11:30-1:00pm. Includes gymnastics, games, craft, pizza and our guest stars, Little Chicks! That's right, we will have real chicks for your little ones to hold and explore! Please call us at 732-238-6900 or visit www.headoverheelsgym.com to reserve your spot! Head Over Heels would like to Welcome Coach Alyssa Beckerman! Coach Beckerman was a member of the United States National Gymnastics Team from 1997 to 2000. Her highest honor was making the 1999 World Gymnastics Championships. She was named an alternate member of the 2000 US Olympic Team. Beckerman competed on the University of California, Los Angeles (UCLA) intercollegiate gymnastics team from 2001-2003 while pursuing a dregree in sociology. Check out our NEW Spring Into Dance Program!! All the benefits of the dance experience without a long term commitment! Come try our outstanding Dance Program and see what dance is all about!! 10 Week Session - No Recital - Geared Toward NEW Dancers! Enroll Now for Term 4 classes starting February 29th! Congratulations to our all of our teams that competed this weekend! We are very excited to announce the Cheer program is up and running! Registration for cheer is available through the online parent portal, and the tumbling class will require a call (or visit) the front office for registration. We are currently offering special pricing! Cheer Pre-Team Tumbling - Thursday, 7:30pm - 8:15pm. $98 (Pricing for Pre-Team Cheer participants only). Congratulations to Carleigh Stillwagon who verbally committed to Western Michigan University this past weekend! Carleigh is level 10 USAG gymnast who trains at our Parlin location, under her coaches Toni Borden and Sonny Smoljan. This year Carleigh is working towards qualifying to the Region 7 Junior Olympic National Team. Click the logo below to find out more information about the WMU gymnastics team. We had so much attending our local community events this past weekend - Middletown Day and Sayreville Day! We loved meeting, talking with, and hanging out with all of you and meeting so many other wonderful vendors! We offered a raffle, that EVERYONE was able to enter, for free tuition and we selected those winners Monday, September 28th. We also brought both of our USAG competitives teams to put on a little show for the event and they looked awesome! It was the first time they got to wear their competition tanl leotards - and they looked gorgeous! Below are some pictures from the events. This Saturday, September 19th, Head Over Heels is attempting to break the Guinness World Record for most cartwheels done at the same time! We will be teaming up with our sister gym in Norwell, MA to break the record. This means we need YOUR help! We're doing this to help raise awareness for childhood brain cancer, as September is National Childhood Cancer Awareness month. We hope to do something good for the community and have fun while doing it - we'll have Fun 107.1 out here pumping music, we'll have games, prizes, and of course the record attempt at 4:00pm! You're not going to want to miss this! We want to say a huge THANK YOU for voting us as one of your favorite gyms in Monmouth County! To do that, we'd like to offer you $10 off a new class if you sign up in the next two weeks! Just use the code "BEST10" online! This offer will expire on Saturday August 22nd, so act fast!